Laura started dancing at the age of 6 and immediately fell in love with dancing and performing. She has trained in ballet, tap, and jazz for over 10 years and contemporary for 5 years. Some of her instructors include Mary Jo Rimke (director and owner of Emjaez studio), Catherine Meredith, Sonja Kraljevic (former dancer and teacher for Margaret Duncan), Janet Dziak (Director North Pointe Ballet), Lisa Chrysanthus (Owner and director of Dance FX), Gretchen Carter, Richard Dickinson (Associate director Verb Ballets), Pam Pibisco, and Michelle Deidrick. Laura’s classical ballet training started at the age of 12 and her pointe training began at age 14. 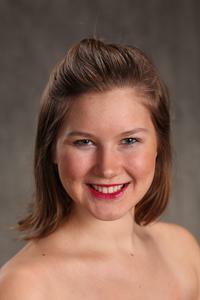 Laura was a competitive jazz and contemporary dancer for four years, competing with group dances as well as solos. She also performed the Gamzatti Variation from La Bayadere at the YAGP (Youth American Grand Prix) competition at the age of 19. She has performed in several full length productions of the Nutcracker and recently performed the role of the ugly Step Sister for North Pointe Ballet’s Production of Cinderella. At age 17, Laura auditioned and was accepted into the Cleveland Ballet (director Gladisa Guadalupe) summer dance intensive program. She also auditioned and was accepted with a scholarship into the level 5 ballet at the University of Akron’s dance program. Laura is excited to continue pursuing her dancing dream with North Pointe Ballet. © Copyright 2018 - North Pointe Ballet. All Rights Reserved. Design by 4Seeds.